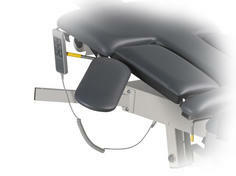 Ergonomic support for the sonographer. 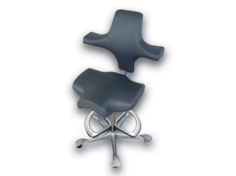 Fully adjustable chair assures musculoskeletal alignment. Hands busy? 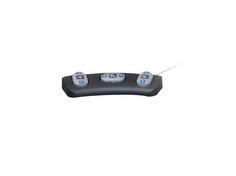 Foot Controller offers convenient table positioning. Expand the function of your table. 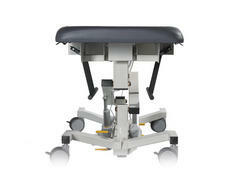 The Articulating Scanning Arm Board is used to perform upper extremity arterial and venous procedures. 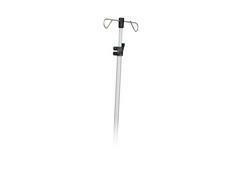 Stainless steel and height adjustable, the IV Pole mounts to either side at the head end of table. Greater sonographer access, rails are out of the way when not in use. 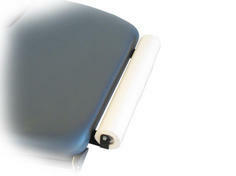 Conveniently mounts to head end of table, includes paper cutter strap. Expand function of the table to include endovaginal, hysterosonography, testicular, and more. 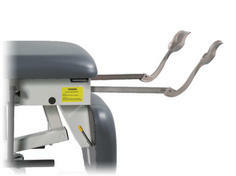 Ideal for thyroid and carotid studies.